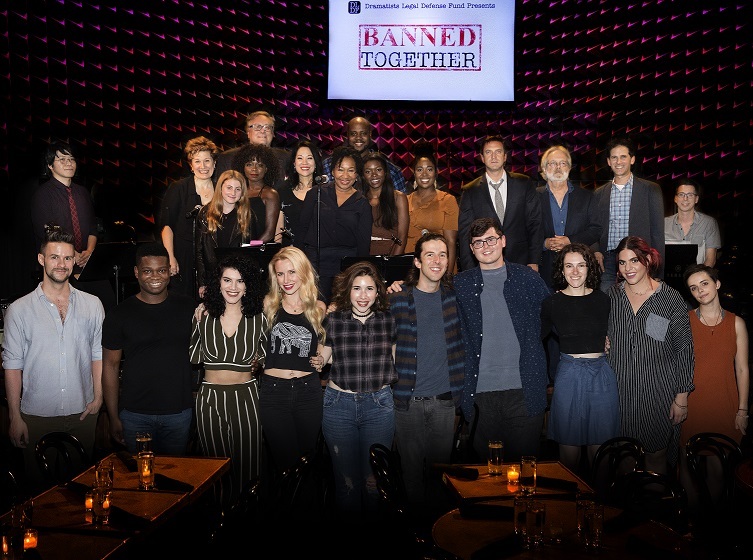 Banned Together: A Censorship Cabaret is a celebration of songs and scenes from shows that have been censored or challenged on America’s stages, created to raise awareness around issues of censorship and free expression in the Theater. Previous performances have featured selections from Cabaret, Chicago, Almost, Maine, Rent and Angels in America, among other notable works, with contextual commentary by DLDF president John Weidman. In 2018, Banned Together will be performed during Banned Books Week, September 23 - 29, in fifteen cities across the United States. The 2016 presentation was performed by special guest artists B.D. Wong, Patrick Page, and TADA! Youth Theater’s Resident Youth Ensemble, directed by TADA’s Producing Artistic Director, Janine Nina Trevens. In addition to the two performances in New York City, Banned Together was performed across the country in Miami, Chicago and San Francisco, as part of the Banned Books Week activities.